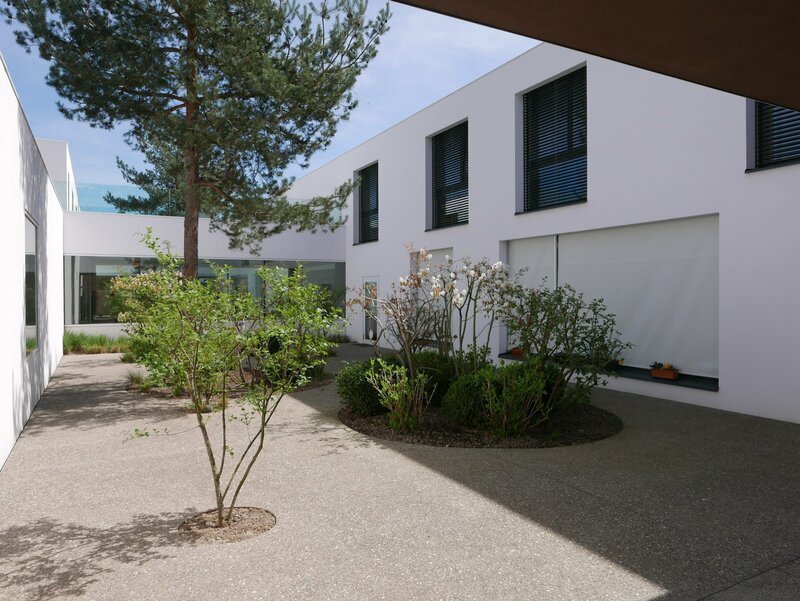 "Résidence de la Rive" is the first nursing home for persons suffering from Alzheimer’s disease to be built in Switzerland. This project would not have reached a successful conclusion without the support of specialists widely consulted during its preparation. 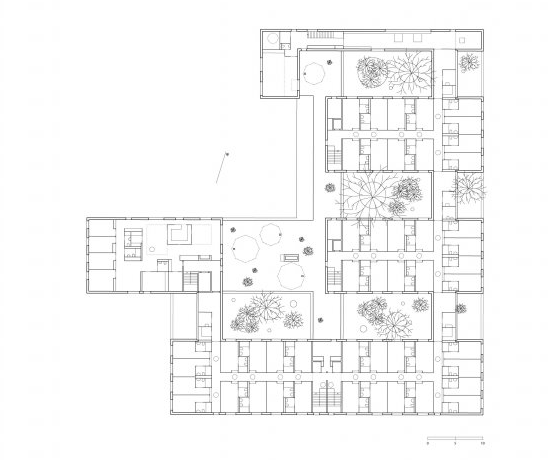 This collaboration led to a new typology based on the walkways and the form of the built complex. 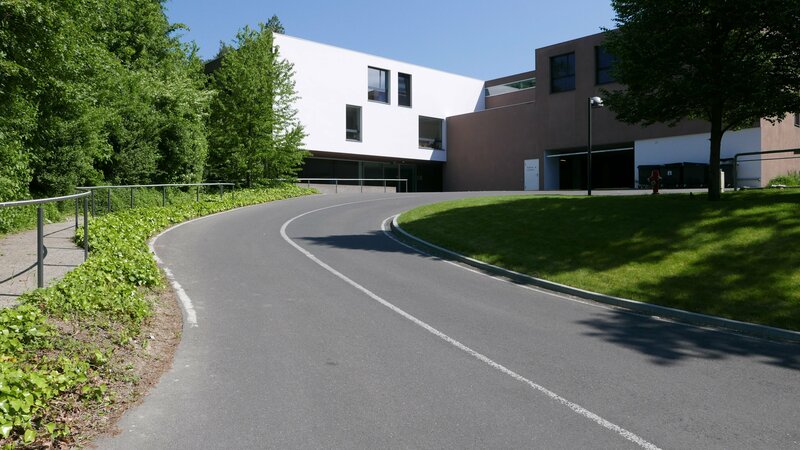 The main entrance, discreet and set a little further away on route du Grand-Lancy, does not reveal the size of the building. It is only upon arriving at the level of the building, facing the large, slightly sloping grounds, that you realise the actual size of the residence. 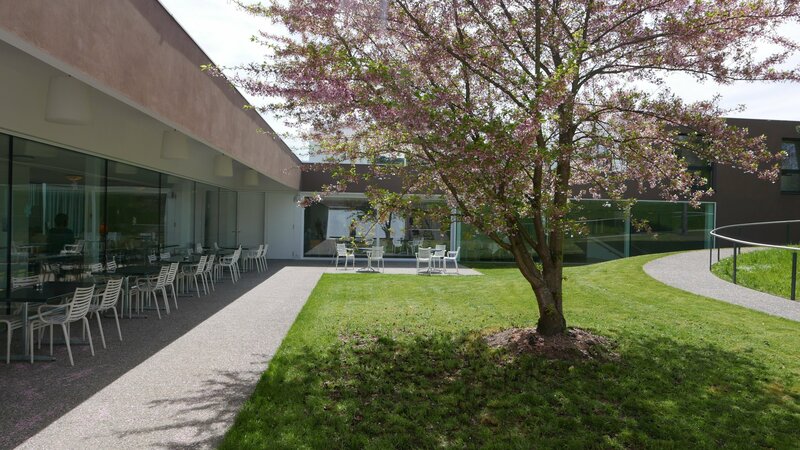 On this garden floor, the reception areas are largely open to the landscape thanks to the large full-height windows which makes it possible to see outside from inside and vice versa. 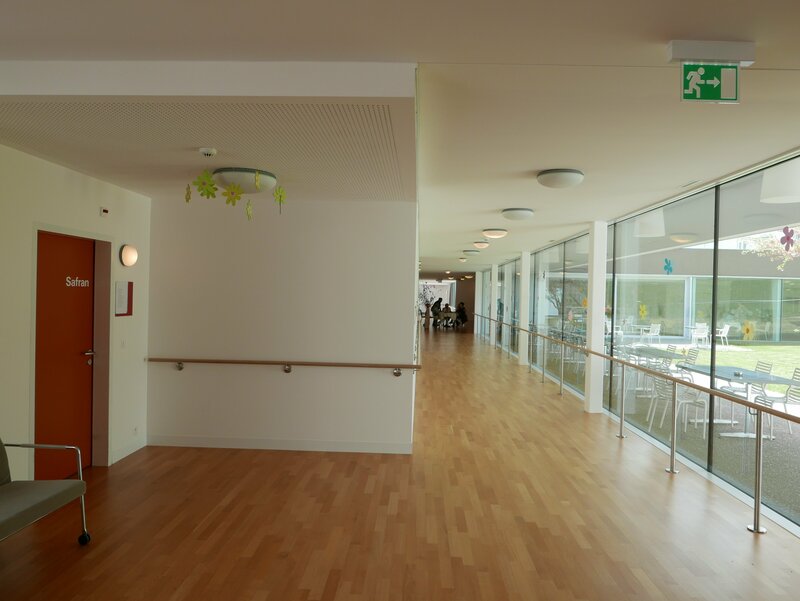 Access to the private parts is along a corridor recognisable for the patients, into which natural light streams. The bedrooms occupy each of the newly constructed wings, with short corridors. 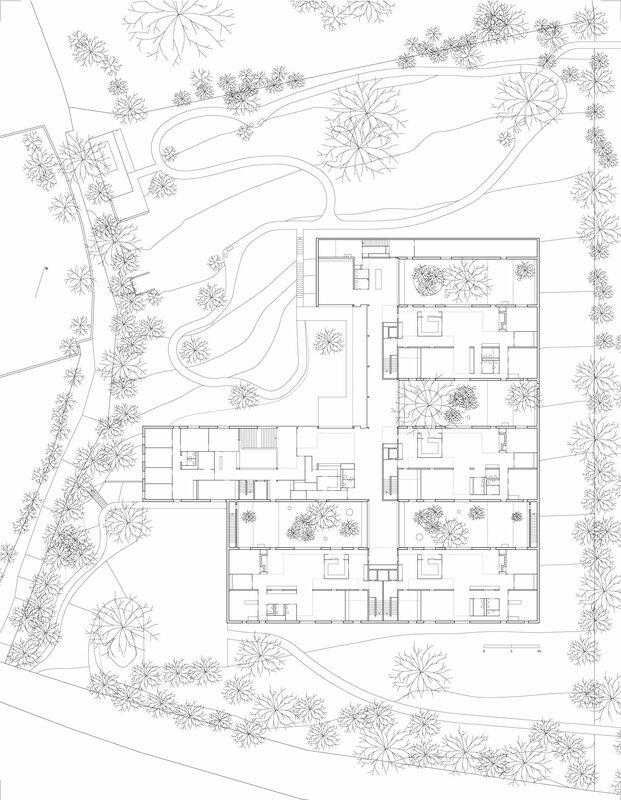 The cut-out form of the project allows terraces, walkways, patios and open courtyards to be created. The two-colour roughcast on the façade – brown and white – enhances the building mass, which is pierced by large alternating windows. 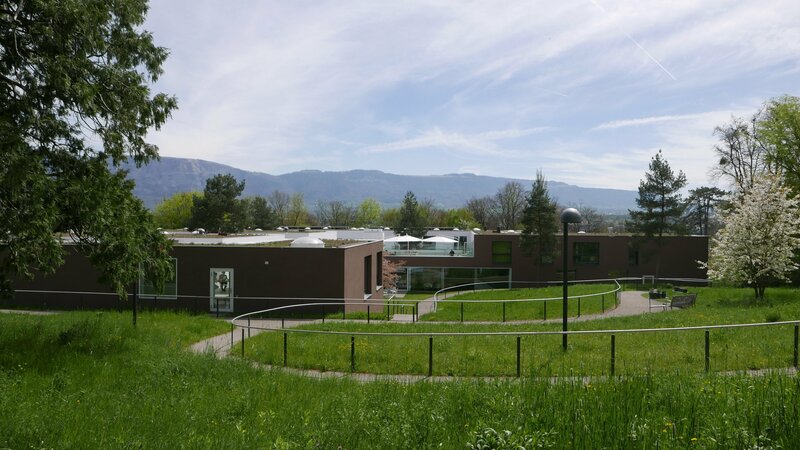 The large garden and its long fence winding down the gentle slope are also part of the therapeutic project.